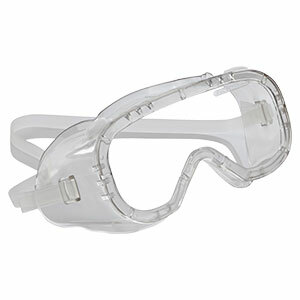 Clear Overvision Spectacles - Helapet Ltd.
Helapet Clear Overvision spectacles are designed to grant effective protection against accidental chemical splashes and impacts. Manufactured with no metal parts and easy to clean, Clear Overvision Spectacles can comfortably fit over prescription eyewear. An integral brow guard gives additional support against possible low energy impacts and the vented side arms prevent the risk of fogging. Scratch resistant and lightweight, Helapet Clear Overvision Spectacles allow unimpeded vision and wearer comfort in cleanrooms and controlled working environments.